Happy New Year! OK, so technically it is the end of January, so we are looking at roughly eleven more months of 2019, but a girl can craft her goals a few weeks late right? The new year is proving to be extremely busy! I need to squeeze in my workouts between my children’s schedule, my work schedule, and life in general. I am so thankful for the clothing from adidas! I know I’ve said it before, they have the best attire for getting through my day; and slipping in a workout. 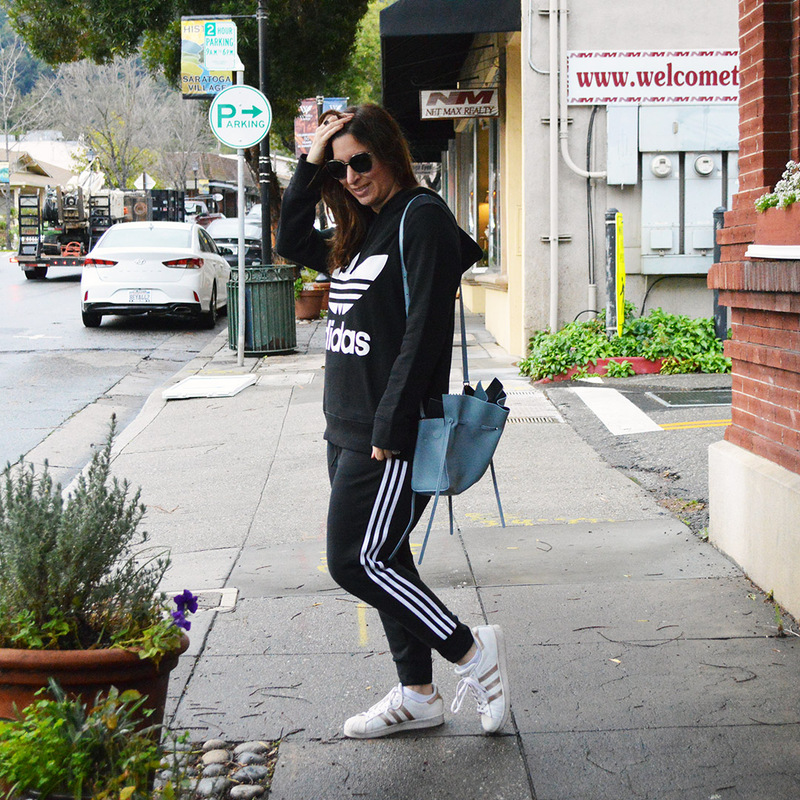 Street to gym outfits are my saving grace! Who has time to change?? Not I! Since 2019 is a busy year already, and I don’t see it slowing down anytime soon, my new fitness routine will be a bit different than it has been in the past. To start off the year, my January and February workout routine will include cardio, strength, and interval training. I plan to switch things up in March. My fitness goals in the new year is to try and lose ten pounds while building strength back up in my core; which became quick weak after my surgery last year. I did lose five pounds last year, so I am getting there! With this new routine, I am confident it will be easier to reach my goals. Saturday: Spin class or family hike outside. In addition to this new workout routine, I plan to continue counting calories, avoid sugar, and eat carbs at breakfast and lunch, not dinner. I will keep you posted on how this works! I don’t really go for fad diets, so eating healthy, and timing my carbs, is how I will proceed. Like I mentioned before, my schedule is packed. My busy days don’t allow much time for me to change before or after my workouts. 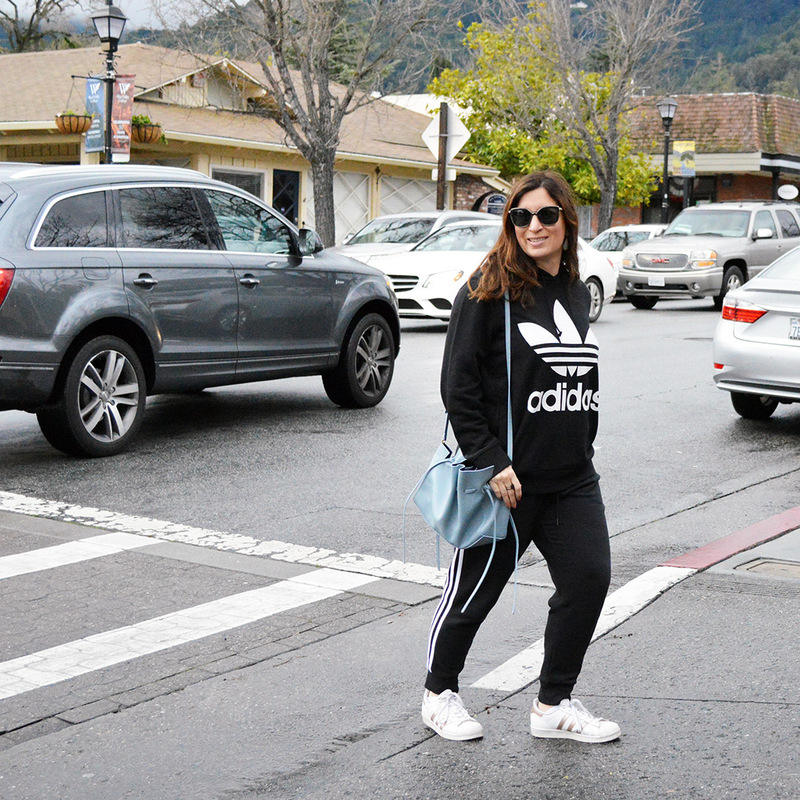 Athleisure looks from adidas are my saving grace. I save so much time in their street to gym clothing and accessories! 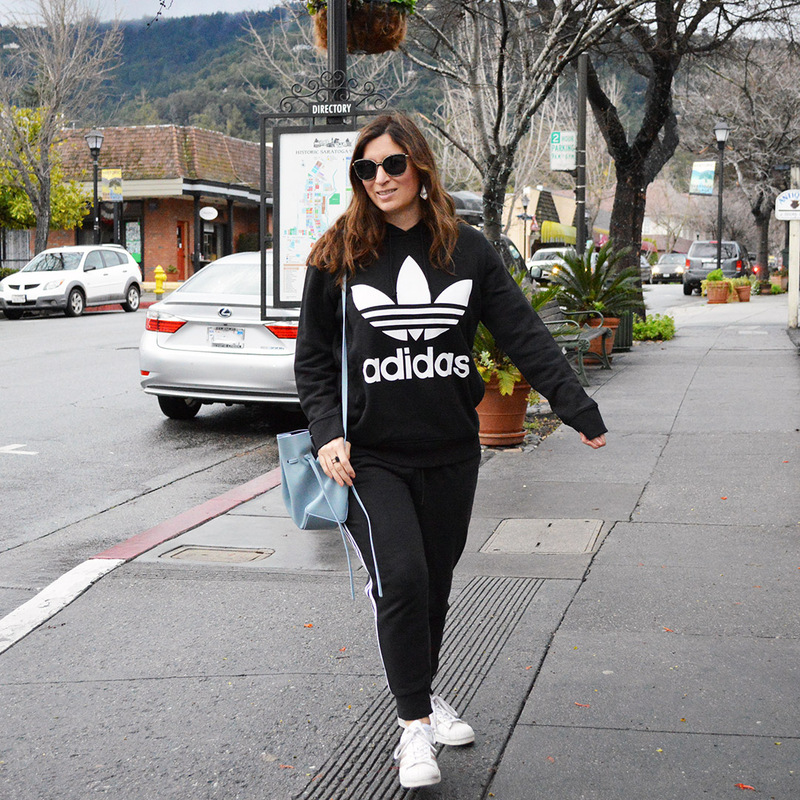 For more street style worthy ensembles, that are perfect for the gym too, be sure to check out adidas.com.